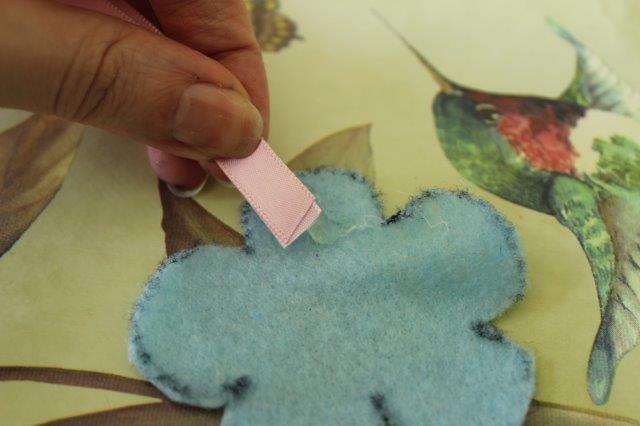 Following on from my previous two posts here are my last two Bostik craft club tutorials. I hope you enjoy making (and eating) them! 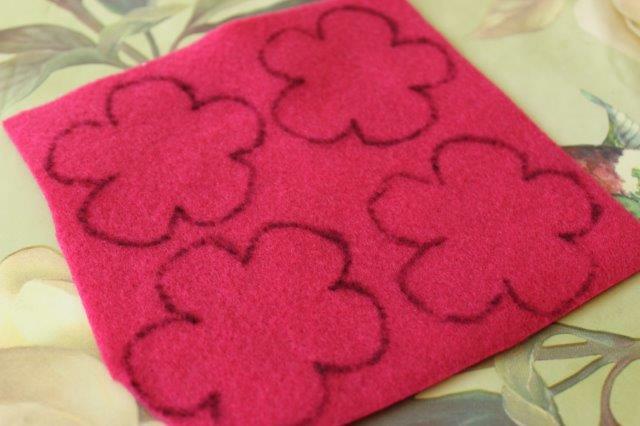 Start by drawing flower shapes onto your felt, you’ll need two pieces for each flower. Cut out each piece carefully. 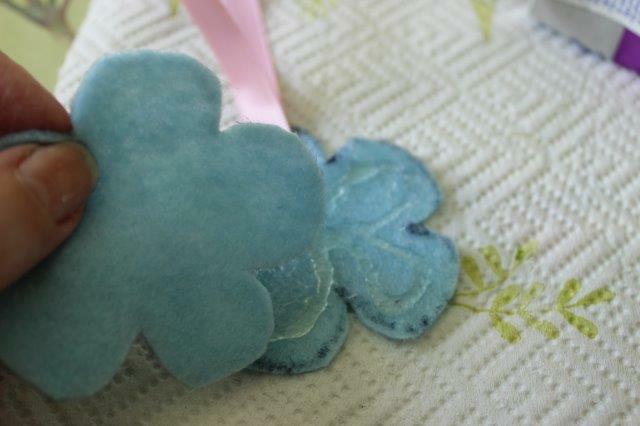 Glue a piece of ribbon to one flower piece, once secure glue another flower piece on top. 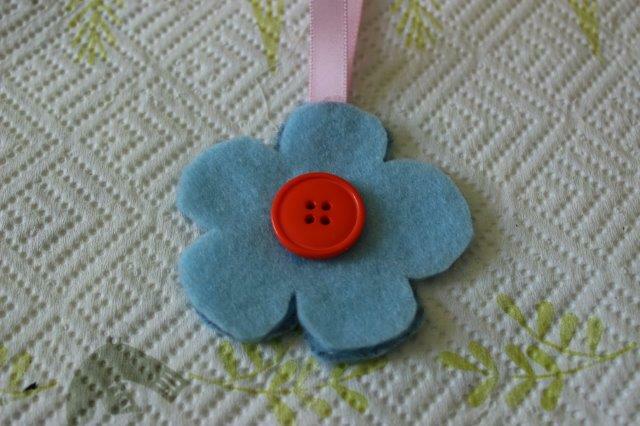 Then all you need to do is glue a button to the front to make the centre of your flower, super simple and super fun! 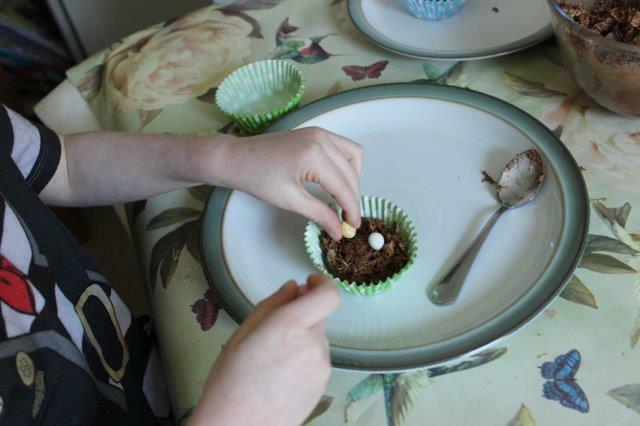 Starting by melting your chocolate, this can be done in a double boiler on in the microwave, if using the microwave make sure to melt in short bursts of about 10 seconds and then stir, this will help to stop the chocolate burning. 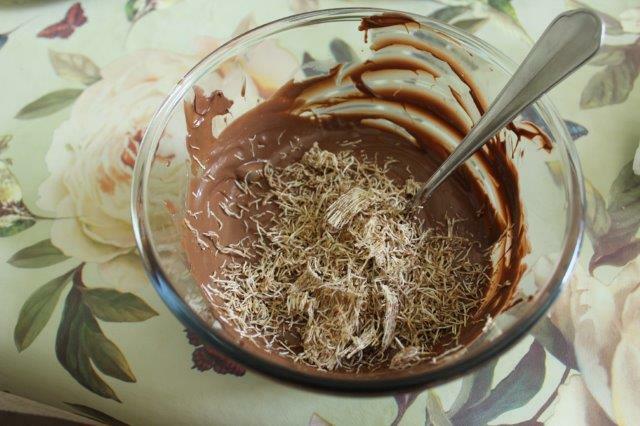 Crush up some shredded wheat cereal and add to the bowl of melted chocolate, you can actually mix in a surprisingly large amount, so don’t hold back. 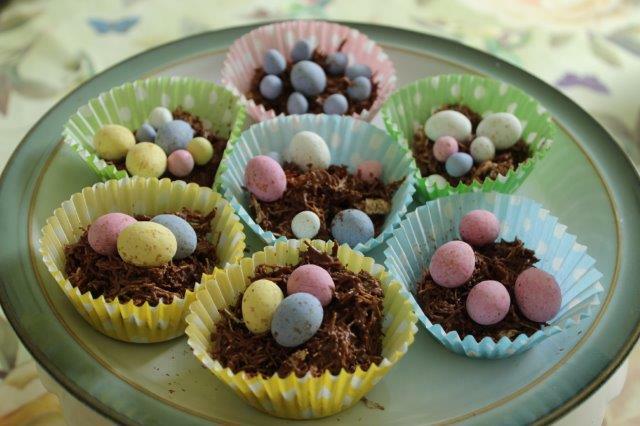 Once mixed arrange inside cake cases using a spoon and then drop some mini eggs inside to complete the nest. Leave to set. 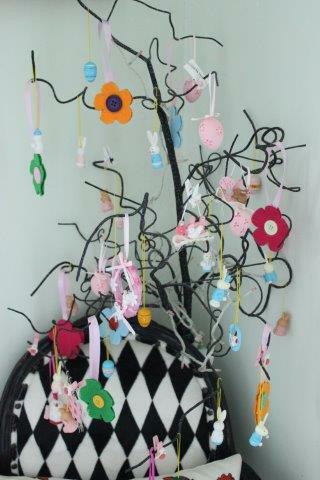 This entry was posted in Recipes, Tutorials and tagged chocolate, chocolate nests, decorations, easter, flower, mini eggs. Bookmark the permalink.